'Looks Like Laury' Shines The Power Of Friendship On A Failing Mind : Shots - Health News When actress and writer Laury Sacks started losing words fast, her best friends, who happened to be filmmakers, captured her experience. Looks Like Laury, Sounds Like Laury shows how they reached her. Laury Sacks and her husband, Eric. The actress and writer developed frontotemporal dementia in her late 40s and died in 2008 at age 52. More than 5 million Americans have dementia, and that number is only climbing. Each case leaves some people wondering what's left in a friendship when the bond between confidants becomes literally unthinkable, when language and thinking fail. But a good friend can sometimes help in ways that a spouse, a child or a paid professional can't. Looks Like Laury, Sounds Like Laury, a documentary now streaming on worldchannel.org through April 9, explores that terrain in the life of one woman with frontotemporal dementia, a progressive brain disease that tends to strike earlier than Alzheimer's and sometimes affects language skills first. The film, by Pamela Hogan and Connie Shulman, is at least as compelling for what it says about friendship's many faces and textures as for what it says about loss. It's worth watching closely — and taking notes. We meet Laury Sacks, a charismatic New York actress, writer, wife and mother of two young children, when she is in her late 40s. She's already showing signs of what doctors initially diagnose as "expressive aphasia" — she can understand everything going on around her, it seems, but is having a hard time voicing her own ideas. Her friends are among the first to notice that Laury, usually quick-witted and chatty, suddenly isn't. Initially, everyone assumes the situation is temporary. As her husband and kids grapple with the change, Sacks' large circle of best friends, including Hogan, a documentarian, and Shulman (an actress now well-known as "Yoga Jones" in Orange is the New Black), suggest the film to their pal as a way to help her express what she's going through. Sacks jumps at the chance. One of the first friends viewers meet is Nelsie Spencer, a fellow actress and novelist who co-wrote a play with Sacks some years earlier. Sacks' loss of language seems to especially stymie Spencer. "It's like I'm a talk-show host, but my guest can't speak," Spencer tells the camera. "I talk and talk and talk, but I have no idea if she's interested in anything I'm saying, or if she's thinking ... 'When's she going to leave?' "
The usual chitchat among pals about family dissolves in a mystifying "Who's on First" loop. Laughter, hugs and shared walks, Spencer learns, seem to work better than 20 questions. Shulman is the problem-solving pal, a fixer of misunderstandings and hurt feelings. Some months into the filming, as daily tasks and errands become more confusing for Sacks, it's clear she needs more help during the day. Her husband, Eric, proposes hiring a health care aide to help Laury when he's at work. The helper could preserve his wife's independence, he hopes, while keeping her safe. Laury looks dubious and worried, but Shulman helps convince her. Use clear, simple and reassuring language as the illness progresses, but not baby talk. Nobody likes to be talked down to. Nonverbal communication can be just as meaningful — eye contact, gestures, a squeeze of the hand. Never talk over your friend's head, as though she's not there, especially if you're talking about her. Include her in the conversation. Don't know where to start? Bring along photos, mention a favorite sports team or read a magazine together. Watch and listen. With time and support, she can make herself understood. Look for the meaning behind your friend's words, even if they don't seem to make much sense. Whatever the details of the story, the person is usually trying to communicate how he feels. Avoid questions that require specific, factual answers and might make your friend feel pressured. Help your friend stay active and involved in the outside world. Gardening, painting and other hobbies you've enjoyed together can help preserve your friend's self-esteem and dignity. A shared activity promotes a sense of belonging and helps bridge the gaps when words don't flow. Enjoy music together. Musical memory is often retained when other memories flee. Exercise helps everyone's mood. Take your friend for a walk in a pretty place. Relax and keep your sense of humor. Funny things happen in life, even when dealing with a serious illness. Your friend is likely to appreciate a laugh, as long as she's included. "I think, if anything," she tells Laury, "it would take the edge of the situation off. ... I don't know whether you get scared when you have to go on an errand, or something — that it's not going to go well, or that somebody won't understand you, or that you'll lose something." Having somebody close by, Shulman suggests to her friend, could "keep that fear from happening." And the helper wouldn't be "a dud — some drag of a person," Shulman assures Laury. Rather, "somebody fun, like you!" "Yes!" Laury finally says, and smiles. "Yes!" That experiment doesn't work so well. A professional aide is an aide, after all, not a friend, and Sacks bristles under the constraints of a "minder" — even a well-meaning minder that she clearly needs. At this point, as Sacks' frustration spills into anger at her situation, it's another friend — actor, writer and director Nicole Quinn — who supplies what's needed at that moment. Sacks needs somebody who will let her shout and vent. "Aaaaaahhhhh!" she screams, during a fast-paced walk through the park with Quinn. "What?" Quinn asks her quietly, matter-of-factly, adding, "That's right. You can yell. You can yell. You can scream. I don't care." Quinn matches Sacks' pace and stays calm. Gradually Sacks calms down, too. The two sit down near a pond and share a cigarette. 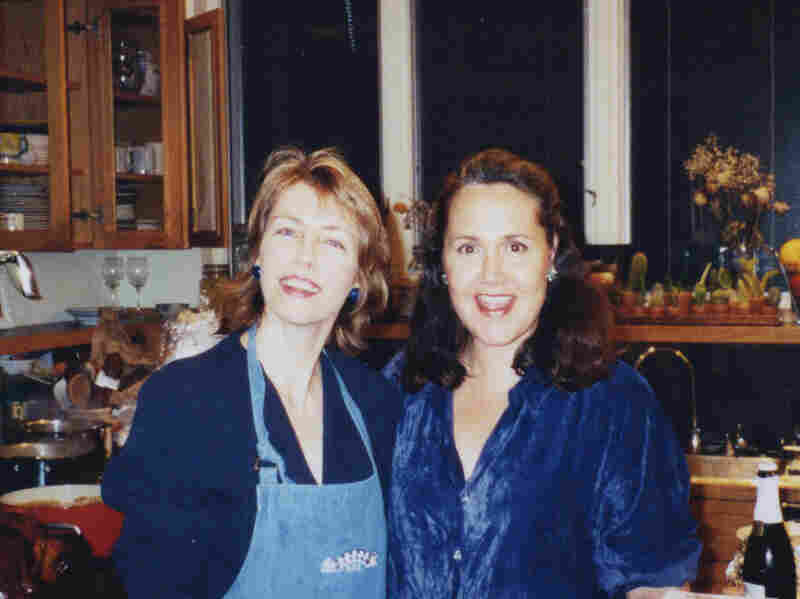 Pamela Hogan (left), director and producer of the documentary, with her friend Laury Sacks in 2000. "You can be angry about it," Quinn tells Sacks. "Just don't hold it in. ... I don't know that it's helpful to you." Gradually, Sacks' speech gets a little more fluid as she plays off what Quinn is saying, and the two are able to talk about Sacks' frustration. Soon both are relaxed and smiling. They laugh and share a few wry observations, like the longtime friends they are. It's clear Sacks feels seen, understood, less alone. 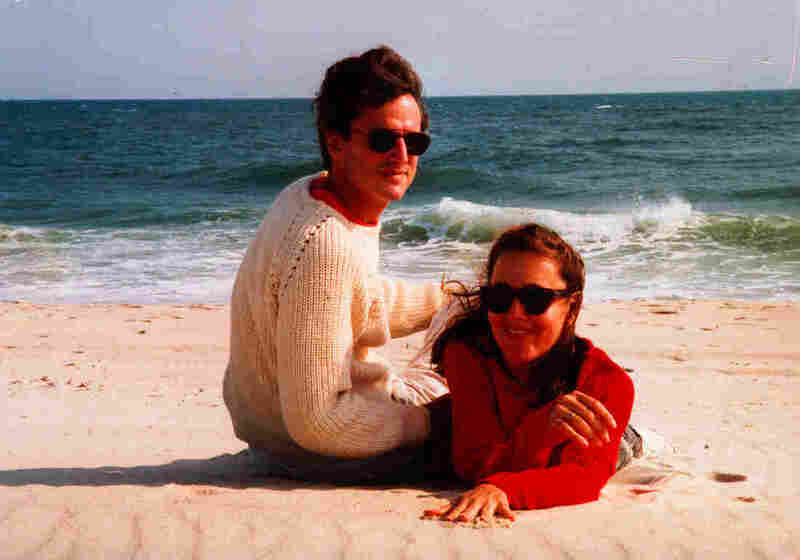 Her illness progressed quickly, and Laury Sacks died at age 52, in 2008. She left behind Eric, a son named William and a still-young daughter, Talley. As it turns out, Talley also had a best friend during that difficult time — Connie Shulman's sweetly wise and dimpled daughter, Gus Birney, an elementary school classmate of Talley's at the time of the filming. "Talley — she's really my best friend, and she thinks I'm her best friend, too," Gus tells the camera early in the film, over scenes of the girls coloring together and walking arm-in-arm on the playground. "Sometimes we break up, but Talley always gets us back together." Young Gus explains that Laury Sacks "is different than many other moms ... so Talley is different than many other friends because of that." Even in elementary school, Gus recognizes the limits of friendship — and also its unique power. "I can't ... give her something to make her feel better or to change her life," she says of Talley. "The only thing I can say is, 'I'll try to be really nice to you. I'll have lots of play dates with you. We'll even have sleepovers. We'll talk together and I'll help you through math and stuff ... and that's all I can do." As Looks Like Laury, Sounds Like Laury shows so beautifully, friends aren't interchangeable; each one brings something special. And even though understanding and support can't solve all life's problems, sometimes it's enough.